The place is here, SAP Center in San Jose, Calif., and the time is now. 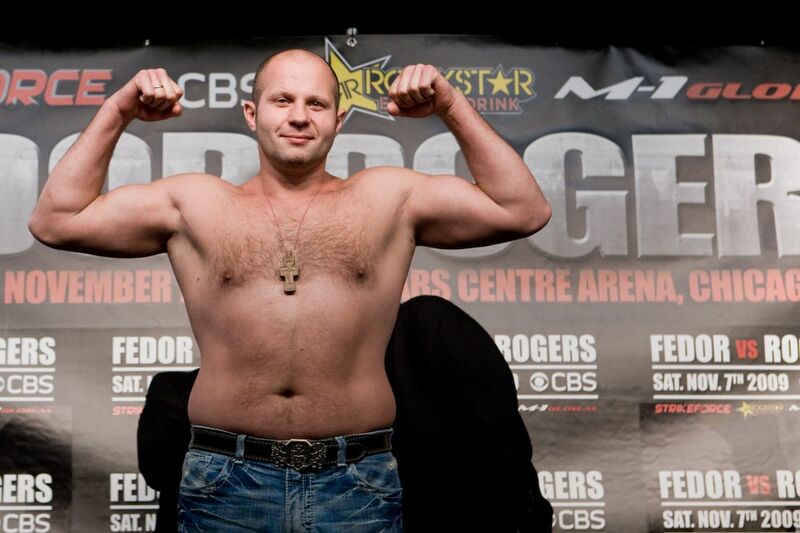 The weigh ins for the Bellator 172: “Fedor vs. Mitrione” event tomorrow night (Sat., Feb. 18, 2017) are officially set to go down for an epic Heavyweight collision as “The Last Emperor” Fedor Emelianenko steps to the scale ahead of his showdown against former Ultimate Fighting Championship (UFC) standout Matt Mitrione. Tomorrow night’s show will also see Mitrione’s last opponent, Oli Thompson, go to war with Cheick Kongo, winner of seven out of nine in Bellator and his last three in a row. Lightweight contenders also meet as Josh Thomson returns to the friendly confines of the “Shark Tank” in San Jose. Bellator 172’s ceremonial weigh-in will stream in the video above around 8 p.m. ET; however, early weigh-in results will begin to trickle in much earlier this morning. MMAmania.com will deliver coverage of Bellator 172: “Fedor vs. Mitrione” tomorrow night (Sat., Feb. 18, 2017), with the televised portion airing LIVE on Spike TV at 9 p.m. ET and “Prelims” undercard matches airing at 7 p.m. ET.